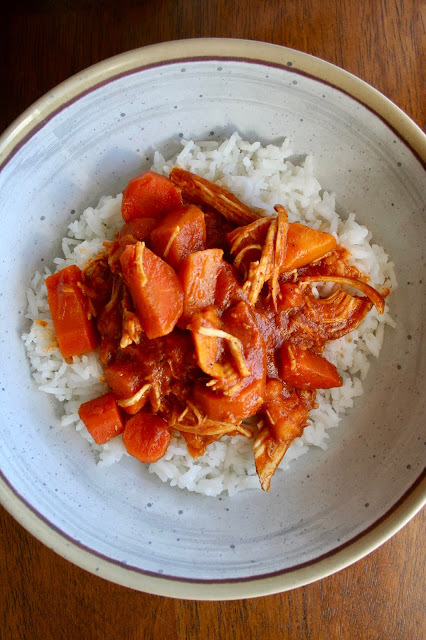 I'm all about good slow cooker meals and this one does not disappoint! If you love curry, then you will love this dish. 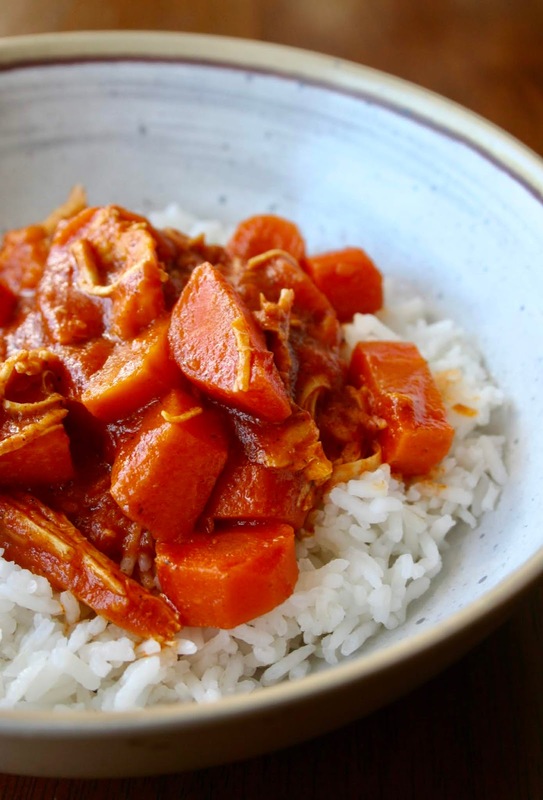 I personally like how it's a little different than most curry recipes I've tried because of the carrots and sweet potato added in. They make it delicious and they are so tender after being slow cooked all day. This is one of those meals your whole family will love. The flavor is perfect and you can adjust the heat however you'd like, which is always a win. 1. Lightly spray your slow cooker with cooking spray. Place the chicken, carrots, sweet potato, bell pepper and onion on the bottom of slow cooker. 2. Place the tomato paste, coconut milk, garam marsala, curry powder, salt and garlic cloves in a blender and process together until mixture is smooth. 3. Pour the sauce over the chicken and carrots, mix well, then cover and cook on low for about high for 4-6 hours or low for 6-8 hours. Cook until vegetables are tender and chicken is fully cooked through. Remove the chicken, shred, then place back in pot. 4. Garnish with cilantro and serve over rice or with Naan.